There’s simply no disputing it — Padrón 1964 Anniversary Series cigars are among the world’s most premium and beloved. This special blend debuted during the heart of the great cigar boom, landing on store shelves in 1994 and consequently setting the bar for decades to follow. As is tradition in the legendary Padrón family, 1964 Anniversary cigars are box-pressed and available in two varieties: Natural and Maduro. Both utilize full-bodied, Nicaraguan blends that have captivated cigar smokers of all walks of life, year after year. This includes an impressive four appearances on Cigar Aficionado’s Top 25 Cigars of the Year lists over the years! (#3 - 2005, #3 - 2006, #5 - 2011, #4 - 2013). In 2016, Padrón had enthusiasts abuzz once more, introducing two new sizes to the legendary 1964 lineup: Soberano (5 x 52 robusto) and Presidente (6 x 50 toro). With these additions, Soberano and Presidente become the most premium displays to bear the 1964 name. Following in the footsteps of the upgraded Padrón 1926 Serie No. 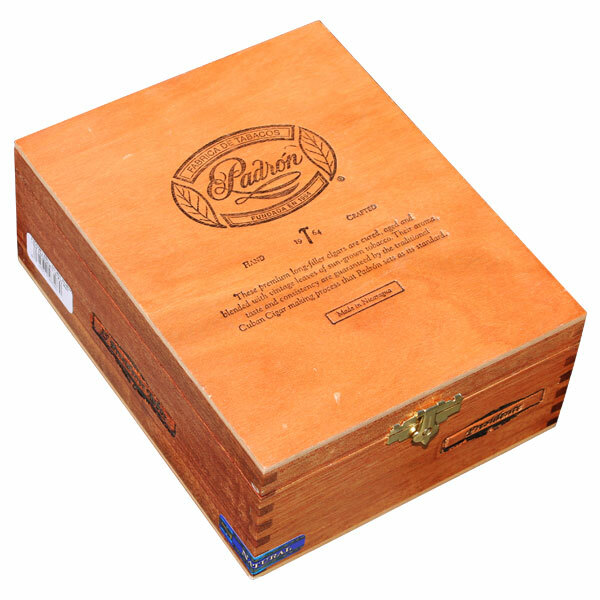 90 cigars—which showcased Padrón’s first-ever usage of tubo packaging—the 1964 Anniversary Soberano and Presidente cigars become the first tubo-packaged cigars in the 1964 line. But these 1964 cigars have taken the display a step further, using square-shaped boxes for each individual cigar to cater towards the 1964’s box-pressed shape. Fifteen, individually-packaged cigars are contained within each box; offered in the classic and refined Natural or sweet and chocolatey Maduro varieties.